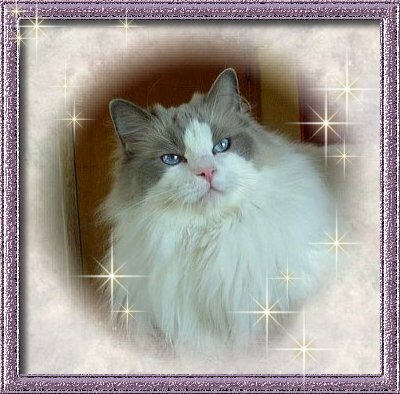 Starlite Rags Cattery has been raising Ragdolls since 1992. I'm excited to announce that Starliterags Cattery has moved to a quiet country home in Plover Wisconsin. The lower level has been converted to a new cattery for my Ragdolls. It is complete with two nurseries for kittens, walk-in stud condos, and a large play area for the queens. I'm very pleased to offer my Ragdolls a state of the art cattery to call home! A private birthing area is provided for new/expectant mothers. Our breeding males each have their own "bachelor pad", fully equipped with all the necessities and some of the luxuries too! All of our Ragdolls are happy and well cared for. They are given lots of love and attention, fed the highest quality foods, and receive the best veterinary care. We consider our Ragdolls as family members and treat them as such. Our kittens are handled from day one, in-order to give you a kitten that is well socialized, and has an outgoing personality No scaredy cats around here! Each kitten is given plenty of hugs and kisses and is played with and held each day. This special loving attention insures that the new owners will receive a confident, people oriented kitten, affectionate kitten. Kittens recover much quicker than adults from surgery. Typically they are up and running immediately after returning home. The pet buyer doesn't have to worry about the risk of surgery. The pet buyer doesn't have to bear burden of the cost of surgery. It ensures that a male will not spray, and prevents unwanted pregnancy in females. Other benefits include, a larger cat, and decreased cancer risk. We think that you will agree that early spay/neuter is simply the responsible thing to do. Conclusion. We take great pride in our Ragdolls and are breeding for the true Ragdoll temperament that makes this breed so special. We also provide shipping assistance to clients who can't pick-up their kitten. We provide kittens in Pet Quality, Show Quality, and Breeder Quality. Retired Adults are sometimes available to approved homes and make excellent pets as well. 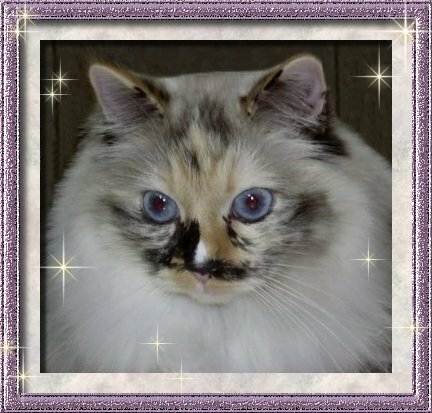 While we love showing off our Ragdolls, we do so only by appointment or through email. Contact. We'd love to help you find the perfect Ragdoll kitten for your family. 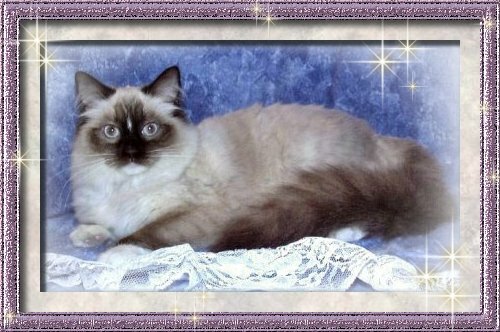 If you have any questions or would like to reserve a Ragdoll kitten please call me Ann J. Lang at (715)340-3435 or email me at starliterags@gmail.com We will be happy to provide you with pictures of our available kittens through email.